As if Santa Clarita doesn’t have enough fun things to do for the whole family, the City of Santa Clarita will launch its new “Senses On Main” block party season with a throwback to the days of F. Scott Fitzgerald. 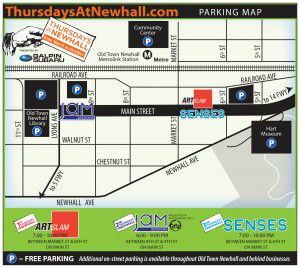 Located in Old Town Newhall on Main Street, Senses On Main features theme based block parties that take place the 3rd Thursday of every month between March and October. Each month features a different theme, along with live entertainment, gourmet food trucks, and plenty of things to do for SCV residents of all ages. 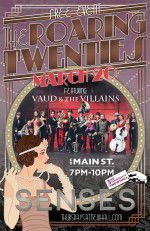 March 20th marks the return of Senses with a “Roaring Twenties” theme that will feature all of the above plus art deco themes, interactive contests, and live entertainment from Vaud and the Villains; a 19 piece New Orleans style jazz orchestra and cabaret show. The great thing about the Senses On Main events are that they are totally free. Events usually begin around 7PM and last until 10PM. Parking is available at the Newhall Metrolink Station or on side streets where legally available. SCV residents won’t just have fun at the monthly Senses On Main events. They can also take part in something going on every Thursday between March and October. The first Thursday of the month features ArtSLAM; with theme based artwork exhibited by SCV artists. The latest edition to Thursdays at Newhall are free Jam Sessions where you can dance, play an instrument, or participate in any other number of interactive ways. All ages and skill levels are welcome. For more information on the Thursdays at Newhall events, click here.